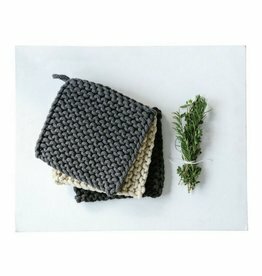 These cutie potholders are almost too nice to use! 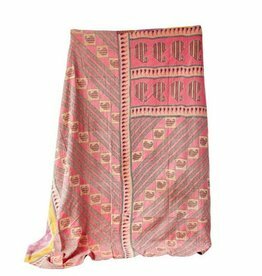 Snuggle up in this vintage Kantha throw. 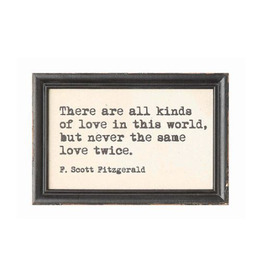 Each one is different but they are all beautiful! 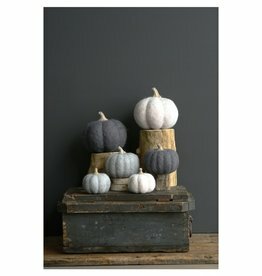 Soft and beautiful felted wool pumpkin decoration. 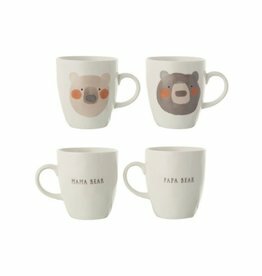 Perfect gift for the new dad! 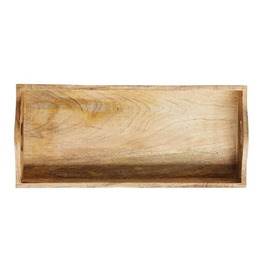 Dress up your wall with some fresh cut flowers displayed in this terracotta wall pocket! 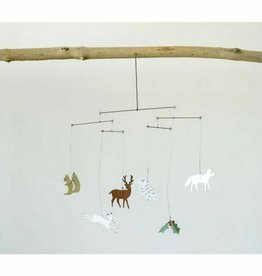 Precious woodland animal mobile to hang over your sweet ones bed. 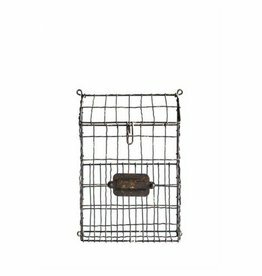 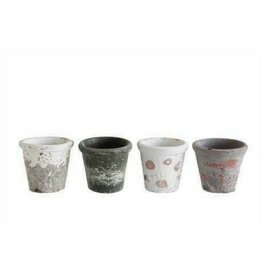 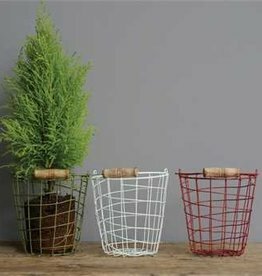 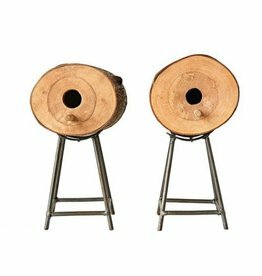 Measures 17"Lx21"H.
Stack these distressed clay pots on your garden work area and use for your starter seedlings. 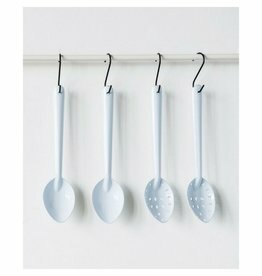 White vintage enamel spoon to stir your delicious soups! 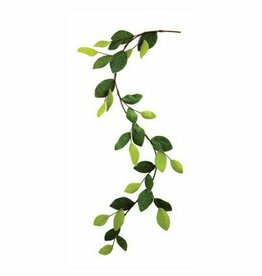 Dress of your kitchen bar top or fireplace mantle with this colorful Magnolia Leaf felt garland. 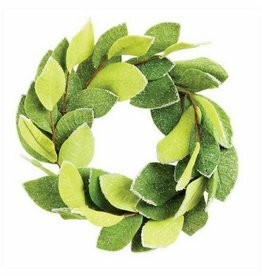 Measures 72"L.
Add a touch of color to your holidays with this 20" round felt Magnolia Leaf Wreath. 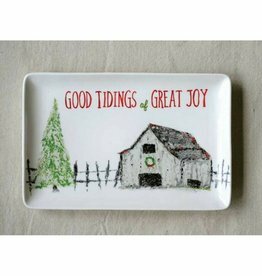 Perfect accent for your holiday decorating! 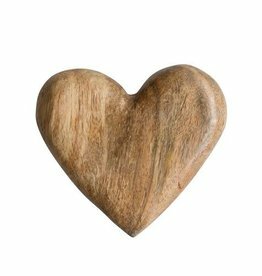 A touch of rustic on your tabletop is just what is needed to put on the finishing touches. 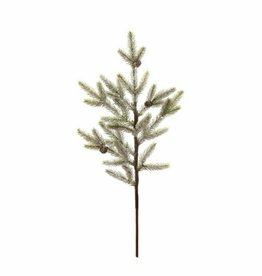 This wood, hand-carved tree measures 6"H.
Vintage enamel tray for your holiday decor. 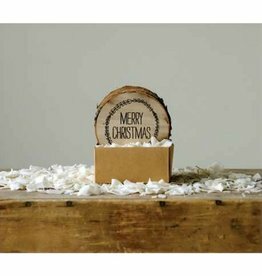 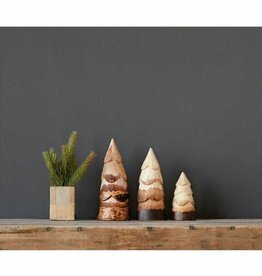 Measures 16 1/4"L.
Set of 4 rustic wood "Merry Christmas" coasters. 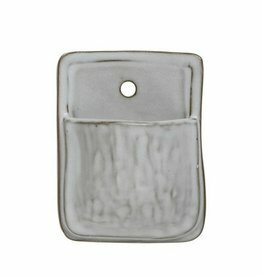 Each coaster measures 4" in diameter. 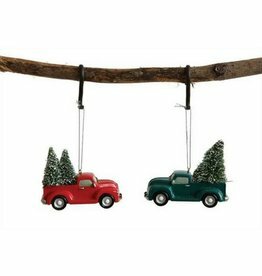 A touch of vintage whimsy for your tree trimmings! 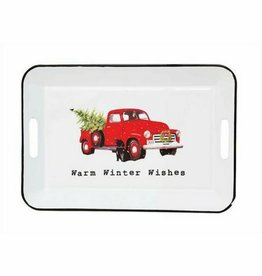 Measures 3 1/2"L.
Serve your favorite Christmas goodies on this stoneware platter. 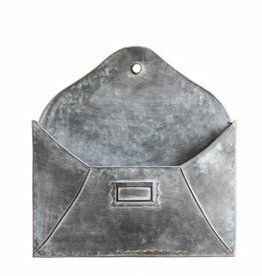 Measures 12"L.